Kings Island is Fun for Everyone. First and foremost, Kings Island is about fun. Fun for everyone. Here you'll find everything you need to know about navigating and enjoying the park and all of its experiences for those with disabilities. And if you can't find the answers here, feel free to download our Guest Assistance Guide or stop by Guest Services at the Front Gate or Guest Services in Soak City. At Kings Island we are proud of our reputation for accommodating guests with disabilities through our Ride Admission Policy. We have developed a Boarding Pass Program which allows guests with mobility restrictions or Autism Spectrum Disorder (ASD) to access rides at specified times via the exit ramp in order to avoid crowds and waiting in the regular queue lines. You may be asking yourself whether Kings Island is appropriate for guests with an autism spectrum disorder (ASD) or whether your loved one on the spectrum will be able to handle the theme park experience. Kings Island has taken steps to be well-prepared to welcome and provide accommodations for all types of disabilities, including autism and related disorders. To continue to provide equal access for all guests, be aware that all guests with mobility impairments or ASD will now receive a Ride Boarding Pass with wait times. Please review the Boarding Pass Program for more details. As you know, advance planning is a requirement for any successful theme park visit with a person with ASD. 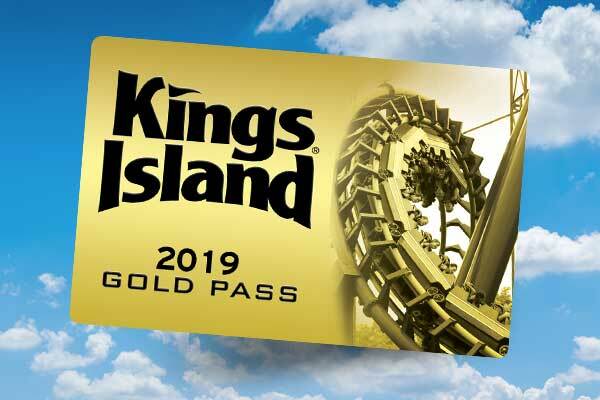 Your visit to Kings Island will include a plethora of sensory stimulation including crowds, dark and loud theatres, coasters traveling overhead, lights and noises, waiting in line, to mention a few. At Kings Island, we strive to provide equal opportunity to all of our guests while providing a variety of options tailored to specific needs. Our highly trained staff is knowledgeable and eager to assist. You can find information on our rides, shows and attractions in advance on this website. The park’s Guest Assistance Guide is also available for download. The Guide outlines the specifics about each attraction, including height requirements and health restrictions. 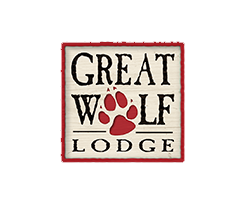 Feel free to contact Guest Services in advance at (513) 754-5500 with any additional questions. When you arrive at the park, please proceed to the Guest Services located inside and to the right of our Main Gate. If you are visiting Soak City, please proceed to our Guest Services desk located next to the Rendezvous Run racing slide. Additionally, if you need to rent a stroller, wheelchair or locker, proceed to Stroller Rental adjacent to Locker Rental inside the Main Gate. Please re-visit The Help Center or Guest Services if you need any additional help with your day. Guests who wear headphones of any type will not be able to wear them while riding our attractions. Kings Island offers our guests several restful locations that your party can access during the day. The park has a first aid station on International Street across from the exit to Boo Blasters on Boo Hill and in Soak City as well as a Baby Care Center located at the entrance to Planet Snoopy and adjacent from Chick-fil-A. Additionally, air conditioned restaurants provide a nice break from the sensory stimulation. Kings Island is a wonderful destination for families and friends to visit. 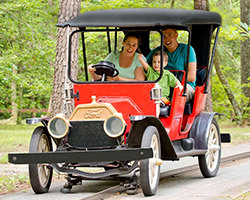 Our goal is to make your experience at the park both smooth and full of family-fun. Please let us know if you have any further questions by contacting 513-754-5500 or by talking to a Guest Services representative at the park. Guests with disabilities should stop by Guest Services located at the Front Gate upon arrival at the park. A brochure (Guest Assistance Guide) detailing the many special accommodations and our Ride Admissions Policy is available from Guest Services. A limited supply of wheelchairs and electric convenience vehicles (ECV) are available for rental at the Rental Center on the left just inside the Front Gate. However, since wheelchairs and ECVs are rented on a first-come, first-served basis, we urge guests to bring their own wheelchair. Kings Island’s Ride Admission Policy and Special Access Entrances are designed to help you safely experience our facilities. Rides with Special Access designations will make boarding easier. If you require the use of a Special Access Entrance to enter a ride, please visit Guest Services to obtain a Ride Admission Slip. Assistive listening systems utilize a lightweight wireless device that receives a signal from transmitters at certain locations in order to amplify sound. These are recommended for guests with mild to moderate hearing loss. This system is located in the following Live Entertainment venues: Kings Island Theater, International Showplace, Festhaus, and the PEANUTS Playhouse. Please ask one of our house ushers to assist in obtaining a device. If requested at least one week in advance, Kings Island will provide American Sign Language Interpretation at the following venues: Kings Island Theater, PEANUTS Playhouse, Festhaus, International Bandstand, and the International Showplace. To arrange for sign language interpreting services, please call 513-754-5700. Live Show scripts or Score sheets are available at each show venue (with the exception of Kings Island Theater) upon request and must be returned at the end of the show. Service animals are welcome at Kings Island. A service animal is defined as a dog or miniature pony that has been individually trained to perform tasks for a person with disabilities. We may ask you what task your service animal performs for you. Service animals must be controlled with a “restraining device” at all times while on our property. There is a limit of one service animal per guest. Due to the nature of most rides, service animals must remain with a non-riding member of your party. We are not permitted to take control of your service animal. Service animals are not permitted in water attractions, wet decks, wading pools, or lazy rivers. A relief area is located adjacent to the restroom at Backlot Stunt Coaster. Please stop by Guest Services for more information. Guests with casts and braces will be restricted from riding rides where the cast or brace will not fit inside the ride unit or where it will present a hazard to the guest or others. Guests with full arm (elbow restricted) and full leg (knee restricted) casts or braces are restricted from most rides and water slides at Kings Island. We suggest you delay your visit until the cast is removed. Casts are not permitted on Mystic Timbers, Banshee, Diamondback and Drop Tower. Guests with any type of prosthesis should not ride unless they can ensure the device is properly secured and will remain in place during the ride. If there is any concern of the prosthesis becoming dislodged during the ride, guests should visit Guest Services for assistance. Guests with prosthetic limbs must consult with Guest Services prior to waiting in line or riding. Guests with a prosthetic leg cannot ride Flight of Fear or Drop Tower. 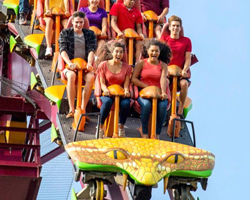 Guests with a prosthetic above the ankle cannot ride Diamondback. Guests with certain amputations may be able to ride Diamondback and Banshee with the use of a separate full body harness provided the guest has remaining leg and arm remnants to be secured by the harness. Guests should check with Guest Services to determine if they are eligible to ride using the full body harness.